“Growth” is the ultimate telling factor in any worthy endeavor. Hits & likes are warm & fuzzy but they don’t represent real growth. The only thing that represents real growth is product sales, new subscribers, and a steady influx of scalable new customers, clients and fans. And if your best work doesn’t get shared, or if you can’t get people to subscribe to your world, or if you’re slowly losing the interest of former fans and devotees, it’s probably time to barricade yourself in your creative space and take an honest, intelligent look at why this is happening. That’s not a bad thing. Like the warning light in your car, it’s warning you that something needs to be done. 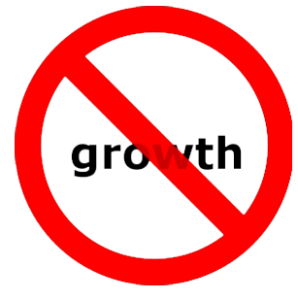 “No Growth” is a warning light.